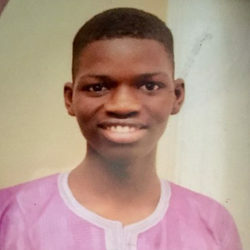 A Memphis Police Department officer fatally shot 20 year old Abdoulaye Thiam near Timothy Drive and Hermitage Drive on Wednesday night following a domestic disturbance call, according to the Memphis Police Department. Officers responded to the call around 8:10 p.m. in the 1300 block of Timothy Drive. A male confronted an officer with a knife, according to the Memphis police. Officers then fired shots and the man was pronounced dead at the scene, police said. Three MPD officers were relieved of duty following the shooting. No officers were injured, according to police. MPD notified the Tennessee Bureau of Investigation about the shooting, and said all additional updates will come from the TBI. On Thursday, TBI identified the man as 20-year-old Abdoulaye Thiam. Hours later, MPD announced that body-worn camera video was obtained from all three officers involved in the shooting. The footage is being included within the TBI investigation — which is standard for fatal police-involved shootings in Memphis. Thiam’s father says his son was a hard worker and always did what he was told. The family isn’t sure what led to the shooting. They say Thiam was outside at the time and his brother was inside the house.